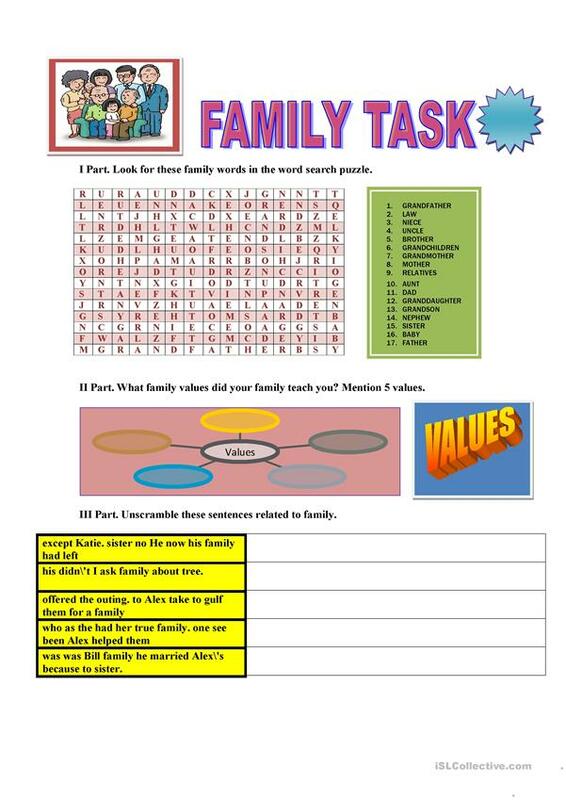 This is a group of activities related to family. This downloadable printable was created for business/professional students, high school students, elementary school students, adults and students with special educational needs, learning difficulties, e.g. dyslexia at Beginner (pre-A1), Elementary (A1), Pre-intermediate (A2), Intermediate (B1), Upper-intermediate (B2), Advanced (C1) and Proficient (C2) level. It can be used for honing your learners' Listening, Spelling, Speaking, Reading and Writing skills. It features the topic and words of Family.